Need your faucet replaced? Maybe you just want the latest and greatest faucet upgrade! Whatever the reason, we at Conyers Plumbing are here to provide professional faucet installation. Faucet replacement is not always necessary. 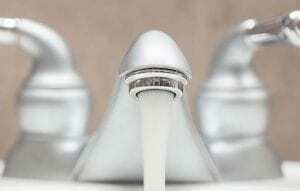 Have a leaky or dripping faucet? In many cases, a faucet just needs to be rebuilt. Whether it’s a kitchen, bathroom or other type of faucet, Conyers Plumbing has you covered! Our team of plumbers have the knowledge and experience to repair or replace your problem faucets. We investigate and diagnose the problem getting down to the root cause of your faucet issues which can be as simple as worn seals or improperly installed parts. Whatever the cause, you can count on Conyers Plumbing to handle all your faucet repair and installation needs, and we have the know-how to get the job done right. Our team understands how stressful it can be to allow someone to come into your home which is why we treat every customer with care and respect from beginning to end. You can count on our experienced and insured plumbers to treat your home like our own by laying down drop cloths and cleaning up when the work is done. Our top priority is to ensure your satisfaction.